In the late of night if you find yourself at a pub and you hear a band playing before an audience absolutely quiet and riveted, chances are it’s the Phosphenes. The indie band is causing quite the waves among the avid music listening crowd of Nepal. 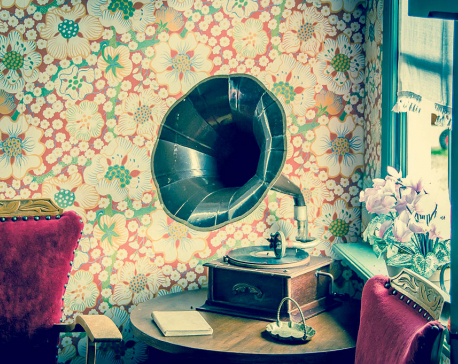 With their focus on storytelling, simple melodies, and enchanting harmonies, Phosphenes is a name received with much adulation in live music sessions. And with their EP released this September, they are looking forward to more success in the days to come. It all began with a phone call. Abhishekh Pokhrel, the band’s vocalist and guitarist, was a casual musician. He would record melodies and upload them on soundcloud. It was then that Prajwal Aryal (also the band’s vocalist and guitarist) approached him with the intention to start a band. That was nearly two years ago. Then it was just the two of them. Their track “Dust” racked up quite the number of listeners on soundcloud and they wondered if maybe starting a band wasn’t such a bad idea. In wishing to be diverse with their members who could then lend their own color to the group, the two searched for musicians to add to their lineup. Aman Karna signed up as the synth and the guitarist after having shown enthusiasm for the duo’s “Dust” performance. Because he was someone they were familiar with and a more than competent musician doing his own music, he was welcomed as a member. 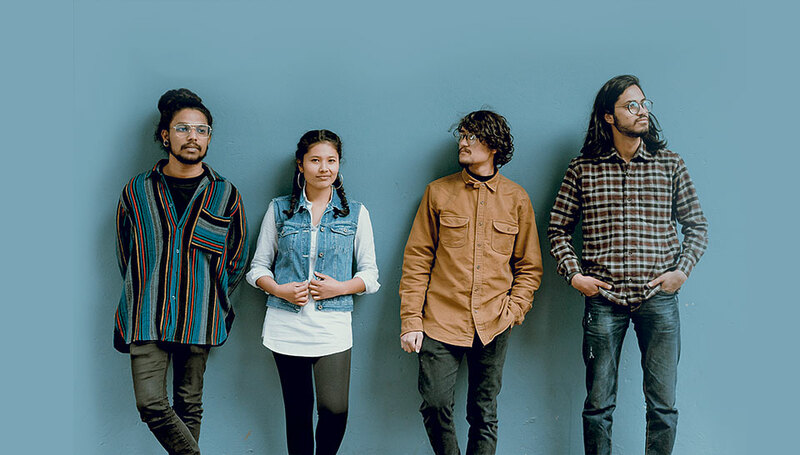 As far is Supriya Moktan (vocals and keyboard) is concerned, Pokhrel and Aryal lightly admit to having searched exclusively for a female musician. “We needed a female voice,” says Pokhrel adding, “We had a certain vision for the band and realized the need for a for a female vocal.” Moktan was a classical pianist who aspired to become a gospel pianist (as she does even today) and being in a band was the furthest approach to music she imagined to take. But she wanted to give it a try and agreed. The intent was never to be an indie band. They wished to create music and that is how they began. “I was into rock and roll and heavy stuff. Indie music was as remote an idea as anything,” recalls Aryal. Phosphenes becoming an indie band is just how it happened. While trying to identify their own sound, they somehow fell into the genre. “Indie music is about connecting. Connecting to people and emotions is what it is. And it’s simple. It isn’t highly produced and so more real, more raw. You could say that through this genre you convey unadulterated emotions,” explains Pokhrel. However, the band affirms to not being confined to this genre of music only. They mention Beatles as an example, a band they all collectively admire, that branched out from pop music to rock, psychedelic, and even Indian. “Sticking to just one genre is limiting our growth as artists,” he adds. Their music production follows a set procedure most of the times. Pokhrel strums a few strings and is joined by Aryal as the two pitch in their ideas for the music direction. They argue, agree and disagree and finally agree to a melody. What follows is the lyrics writing part. “We like to keep our lyrics simple so that the story is the main focus and not the jargon,” clarifies Moktan. The recording is done in their own homes. “When writing our songs we go haywire with our imaginations. What we write isn’t what happened to us but what happens universally. To write about love, it isn’t required for you to be in love. Imagination alone can take you far,” Aryal states. Phosphenes have ambitions for their future. They have consistently released their music on Spotify, despite it not being the main channel for music access in Nepal. This is their attempt to break into the music scene internationally. The response so far has been has been good, with listeners tuning in from Sikkim, India, Australia, UK, and USA. So far, all their songs are written in English and they confess to having troubles with expressing themselves in Nepali. They have made several attempts to write songs in Nepali but that hasn’t worked out in their favor. However, they don’t plan on giving up anytime soon. Plans to release a single in a few months is keeping them busy at the moment. They have also regularly performed before their select audience. 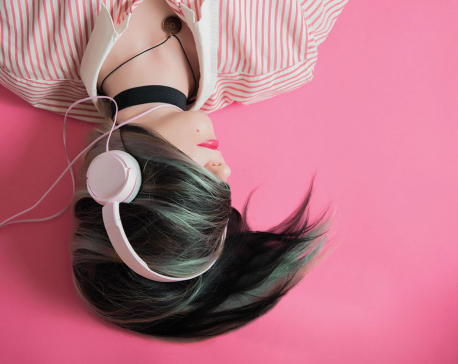 All throughout, they wish to connect with their listeners and pass through barriers of culture and genre preference. They sincerely hope local people give their music, along with other budding artists’, a shot. “We have always preferred intimate sessions to screaming masses. We like it that way and hope to continue with it,” says Moktan. For them, music has been a friend, an adhesive that has helped them through adversities and a channel for their emotions. And they hope for it to be the same for many others too.